Oscilloscopes, Spectrum Analyzers, Power Supplies, Signal Generators, VNAs and more. Their use is as broad and diverse as the devices developed with them. Numerous documents exist about what they are and which ones are 'the best'. 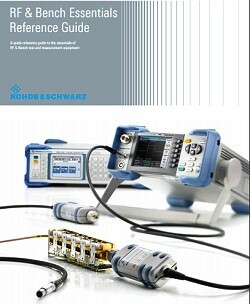 RF & Bench Essentials Reference Guide takes a step back and covers the Essentials of RF and bench instrumentation including vertical resolution, sample rate and memory depth. What is phase noise, resolution bandwidth or demodulation? Why should I care about frequency setting time or output power? The guide steps through the different instrument types and explains each of the key characteristics, why one should care, and what one should look for.